FileNet files can be converted to TIF (TIFF) or PDF, and we can read disks that others find difficult to mount. Our friendly team is happy to help transfer your Open Text data to a new format.We can export the files as multi-page or single page TIFF with their document id numbers, surface id etc. We can also recover none scanned or so called COLD storage files from FileNet Jukebox optical disks. 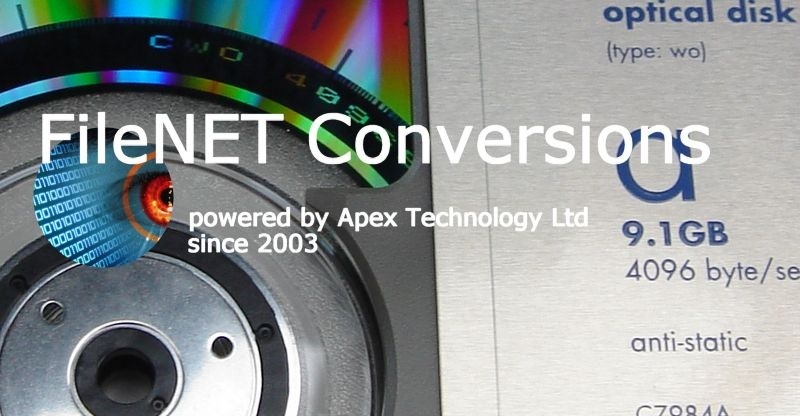 We can convert FileNet Optical Disks to TIFF including when disks have errors and wont read in the drive or be recognised by the system. 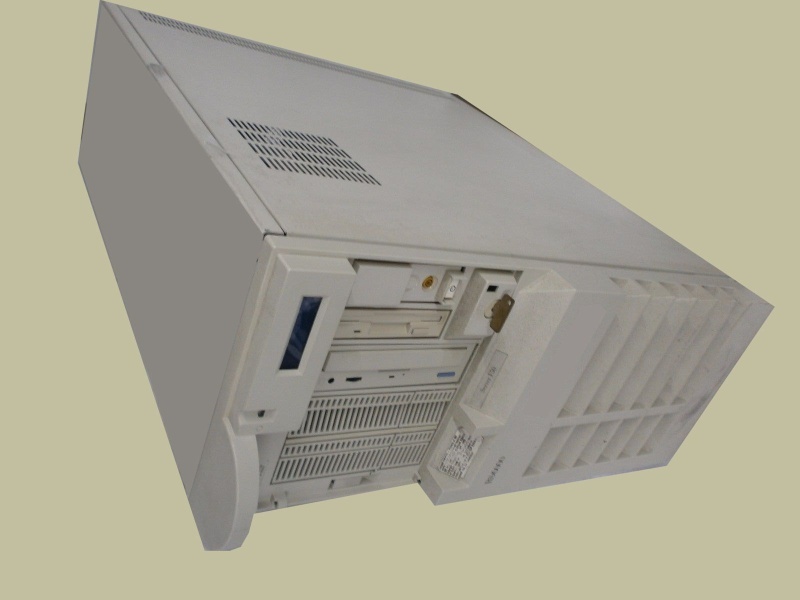 We can convert the FileNet files to TIFF or PDF or Microsoft Office files and saved on DVD, Hard Drive, CD FileNet Optical Disk Library usually consists of an HP SureStore Jukebox controlled by IBM RS6000 server. 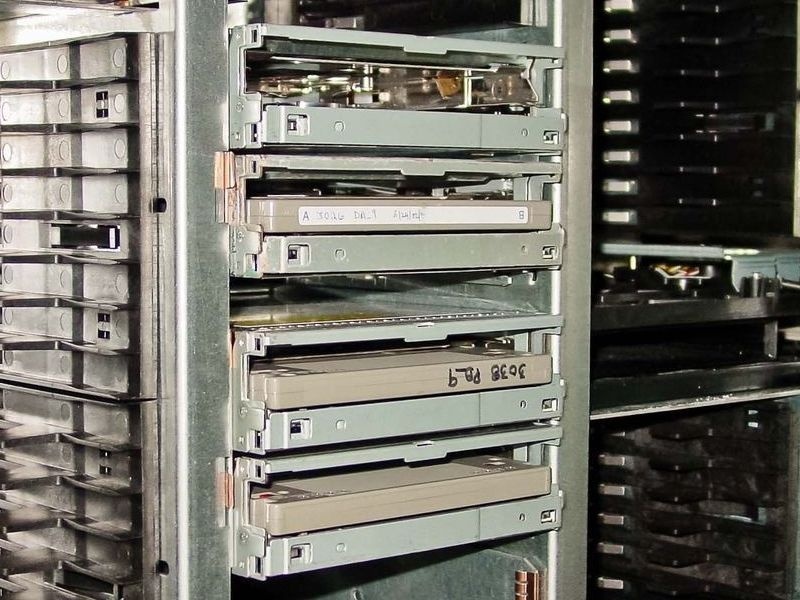 COLD stands for (Computer Output to Laser Disk) and is an alternative way to enter a document compared to scanning or manual indexing. Normally, documents are input into the FileNet system by scanning them, then entering the index values and metadata associated with each document into a relational database. Later when you wish to view the scanned image, you search via the database using the metadata or index numbers and FileNet extracts the scanned images from the appropriate magneto optical disk (usually held in a jukebox) and displays the document. COLD data is already a computer file rather than paper document. This data is sometimes from payroll, timesheets, billing system, and data is coded in plain text normally ASCII (or if IBM, then most likely EBCDIC - which if you are a geek you can probably read in your head just like ascii!) and stored computer disks or tape. You can import the file directly into the FileNet system without scanning using the COLD Workstation. FileNet then stores this file like any scanned file on the MO disks. FileNet Data File Transfer Conversion Migration Specialist IDM system problems that we recover data from are listed below. FileNet recovery from corrupt MO disks, Filenet conversion, Filenet transfer, Filenet migration. FileNet Disk Recovery File Transfer Data Conversions MO Optical Disks Corrupt Unreadable Unrecognised Disks Extract Migrate Export Import Jukebox Library Index.